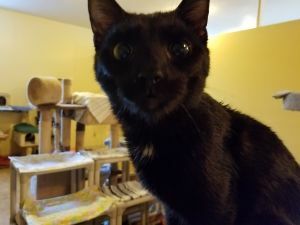 Here is a current list of all cats currently living in the shelter. Please email or call for more information. 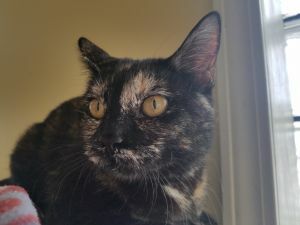 We have a variety if torties and Mia is one of the sweetest. 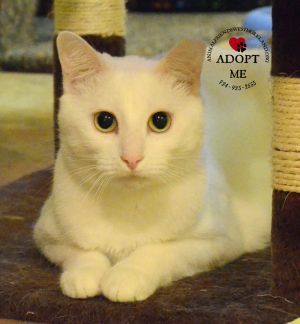 A very pretty girl who would be the perfect addition to any family. You can see Mia and some of our other adoptable cats and dogs at Petsmart in Greensburg most Saturdays from 11:00 to 3:00. Rita defiesthe usual tortie personality. She is quietly sweet and playful. She loves someone petting her. And she's gorgeous. You can see Rita and some of our other adoptable cats and dogs at Petsmart in Greensburg most Saturdays from 11:00 to 3:00. Henry was surrendered to the shelter when his humans moved and couldn't take him. He's a playful cat but can be moody. He gets over stimulated from too much petting. But he does like people and can be just plain silly.You can see some of our adoptable pets almost every Saturday at the Petsmart in Greensburg from 11:00 to 4pm. All adoption fees include spay/neuter and up-to-date vaccinations. Lily is a young playful petite girl. Beautiful coloring. She is very curious and active. All adoption fees include spay/neuter and up-to-date vaccinations. 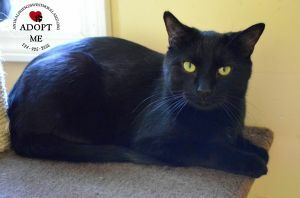 Boo was adopted as a kitten but was surrendered back to us because his human didn't have time for him. ? He is very sweet and gets along fine with other cats. All adoption All adoption fees include spay/neuter and up-to-date vaccinations. Shiva lost her home of 5 years because her humans moved. That's it. They apparently didn't feel the need to take her. She is a quiet shy cat that loves to be brushed. Beautiful coloring, she has a milk mustache. So cute. 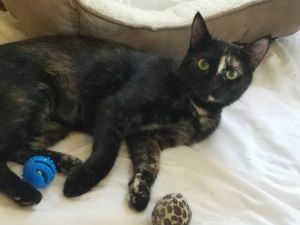 Please give her another chance at a forever home. All adoption fees include spay/neuter and up-to-date vaccinations. Beatrice is a real beauty. 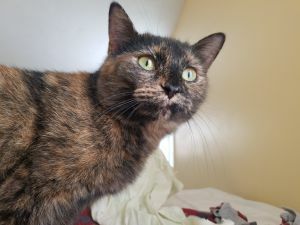 She is very playful but true to being a little tortie she can be fiesty. She may not be a lap cat but when she's in the mood she will be lovable. That's a tortie trademark. All adoption fees include spay/neuter and up-to-date vaccinations. 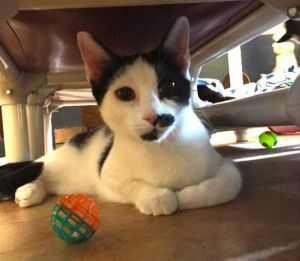 Dylan is a playful cat who is very high energy. He will love to play until he tires. Beautiful black cat. He loves attention from people. He is not a lap cat but will want your attention. You can see some of our adoptable pets almost every Saturday at the Petsmart in Greensburg from 11:00to 3pm. All adoption fees include spay/neuter and up-to-date vaccinations. Thor is a very handsome but shy cat. Needs some patience from his human to adjust to a new life in a home. But is a very playful cat and likes other cats. If he has another furry buddy it may help him come out of his shell. You can see some of our adoptable pets almost every Saturday at the Petsmart in Greensburg from noon to 6pm and some Sundays too. All adoption fees include spay/neuter and up-to-date vaccinations. 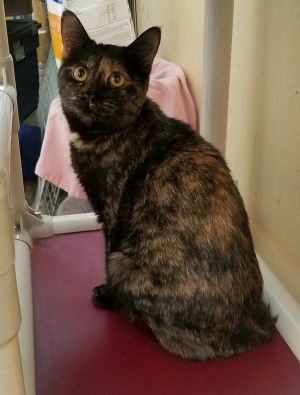 Bae is a shy cat and might need a little patience from her human to adjust to a new life in a home. She was part of a colony of outside cats that were rescued. You can see some of our adoptable pets almost every Saturday at the Petsmart in Greensburg from noon to 6pm and some Sundays too. All adoption fees include spay/neuter and up-to-date vaccinations. Enos is another cat rescued from the cold elements. 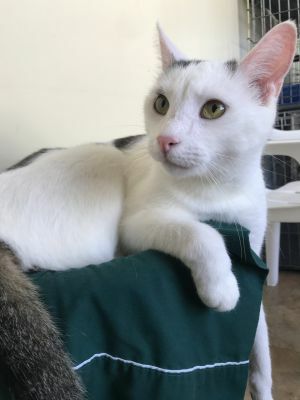 Someone found this beautiful all white cat and was able to foster him until he was brought to the shelter. A little shy right now but loves attention from humans. You can see some of our adoptable pets almost every Saturday at the Petsmart in Greensburg from noon to 6pm and some Sundays too. All adoption fees include spay/neuter and up-to-date vaccinations. 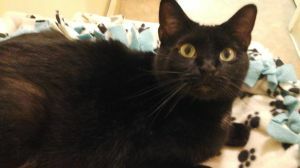 Clark is a very shy guy but with some patience from his human would be a wonderful cat that would enjoy living in a home. He's a real stunner with his beautiful black coat. Gets along with other cats too! Kent was surrendered to the shelter with Clark, Phineas, and Ferb, by their owners who could no longer take care of them. 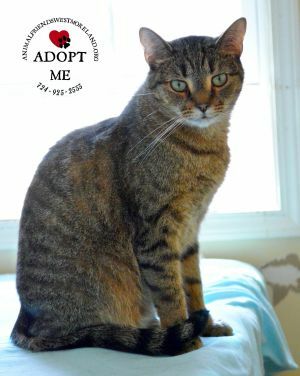 Kent is a shy cat who will need time to warm up to people at the beginning. He does however, does warm up eventually. 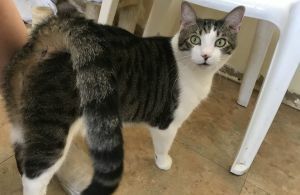 Kent is a sweet cat who is looking for his forever home.You can see some of our adoptable pets almost every Saturday at the Petsmart in Greensburg from noon to 6pm and some Sundays too. All adoption fees include spay/neuter and up-to-date vaccinations. Carla is a nice little girl. She is very gentle and friendly but tends to stay in the background. If you seek her out, it will be well worthwhile. 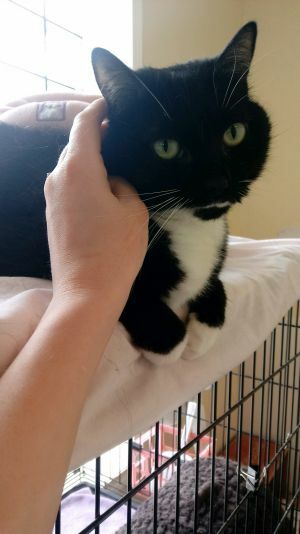 She is around 2 years old, and would probably prefer a quieter environment, but wouldn't mind some other kitties for company. She is easy to get along with. 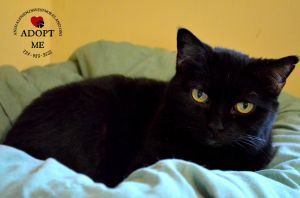 Like all of our adoptable cats, Carla is spayed, feline leukemia tested and has all of her shots. You can see some of our adoptable pets almost every Saturday at the Petsmart in Greensburg from noon to 6pm and some Sundays too. All adoption fees include spay/neuter and up-to-date vaccinations. Al is another member of our polydactyl cat family. He is quite a little cutie pie! Almost too cute to be a boy He is a small guy, and kind of fluffy with an adorable face. He is pretty friendly, but still a little unsure about people some days. He is around 2 years old, up to date on shots and neutered. He would undoubtedly relax quite a bit in a loving, stable, quiet home of his own. You can see some of our adoptable pets almost every Saturday at the Petsmart in Greensburg from noon to 6pm and some Sundays too. All adoption fees include spay/neuter and up-to-date vaccinations. His handsome male cat is BJ. He was brought to the shelter as a kitten, along with his mother and sister. His family has since been adopted, but BJ is still waiting for his forever home to come along. He's a bit on the shy side, so he'll need lots of patience and love in order to adjust to a new home. If you're interested in meeting BJ, please feel free to stop by the shelter. Our hours of operation are Monday, Wednesday and Friday from 1-5, Tuesday and Thursday from 1-8, and Saturday from 10-2.